Never get involved in a land war in Asia. Don’t confuse business with pleasure. 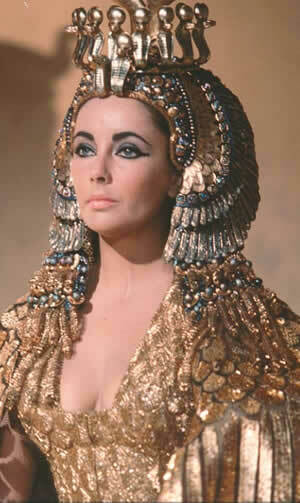 Sunday’s NY Times had a fascinating article by the Stacey Schiff, author of Cleopatra: A Life, bio, about what modern leaders can learn from this famous Egyptian ruler. We can learn a lot from what she did and did not do well. Never get involved in a land war in Asia. Millenniums before Wallace Shawn delivered up that pearl of wisdom in “The Princess Bride,” Cleopatra seems to have intuited as much. She nonetheless financed Antony’s military expedition to the restive area east of the Tigris, a multiethnic, multicultural region of shifting alliances, one that had resisted 30 years of Roman efforts at organization. The Roman general who had last ventured that way had not returned. His severed head wound up as a prop in a royal production of Euripides. His legions were slaughtered. Antony fared only marginally better. Asian allies double-crossed him. Guerrilla tactics and treacherous geography undid him. At the conclusion of a demoralizing campaign and a disastrous retreat he had lost some 24,000 men. Cleopatra bailed him out.